June signifies the start of summer, a reminder that sandals and sunshine will prevail in the months ahead. June also marks the start of wedding season. 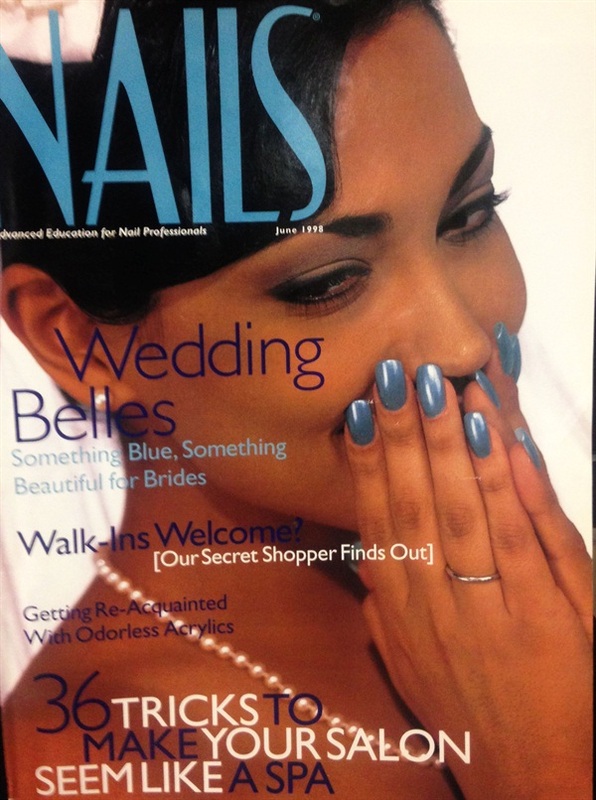 For this week’s #throwbackthursday, we checked out the hottest bridal manicures and spotted three trends from our issues that are over a decade old. 1. Blue. "Brides of the past showed their love, modesty, and fidelity to their betrothed by donning a blue ribbon. For today's wedding ceremonies, shadles of cobalt and azure on nails show that even the most formal bride wants to have a little fun." - NAILS Magazine June 1998. Also popular in 1998, floral designs and other delicate styles, like pink-and-whites and crystal-like patterns. 2. White. This segment focused on the possibilities of white. Most brides-to-be wear white dresses, something that symbolizes purity and wholeness. Though, that doesn't mean you can't have fun with it. Check out these monochromatic designs that only use shades of white. This was also the year that the show, Who Wants to Marry a Millionaire debuted. 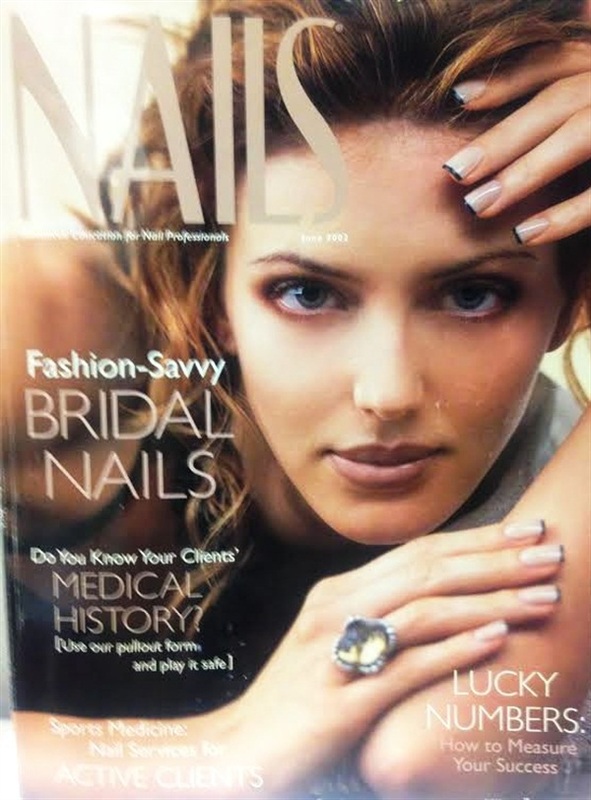 It's true, that most brides opt for simple, yet elegant nails. But styles like bohemian, modern, and vintage can be just as elegant. 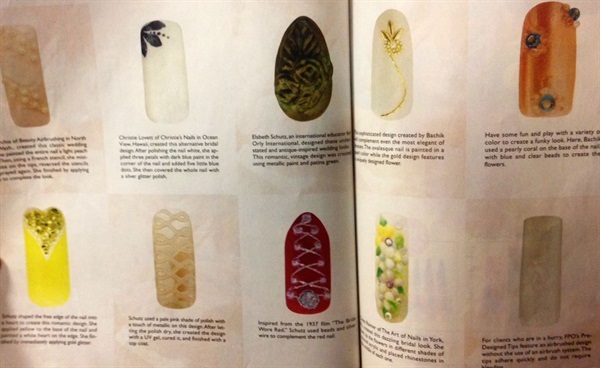 From bejeweled to lacy to handpainted, check out the hottest nail designs from 2002. 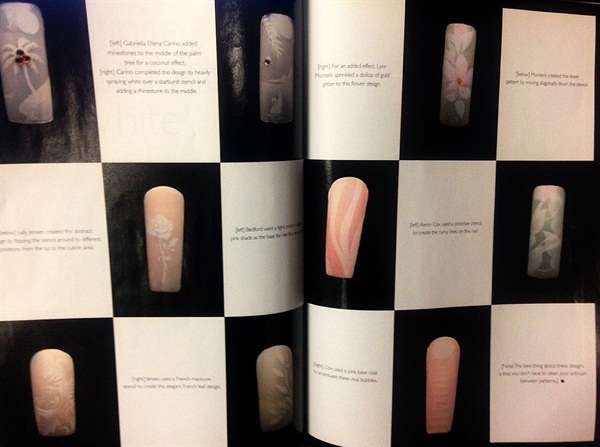 Today, we have nail art styles from shabby-chic to "something blue", and even Hawaiin-themed. No matter the year, no matter the style, this is one of the most important days of a bride's life. Why not have some fun with your client's nails?